What Barbara learned most from childhood was to be a chameleon. She was in a military family and they moved a lot. She was born at 28 weeks and the Dr.’s told her parents that she would not survive, yet here she is! Even though she moved around a lot, she kept in touch with many friends from as far back as 12 years of age. Keep in mind this was before Facebook and Instagram. To keep in touch in those days required a pen, and some paper. Research shows that when you write, it uses a different part of your brain. 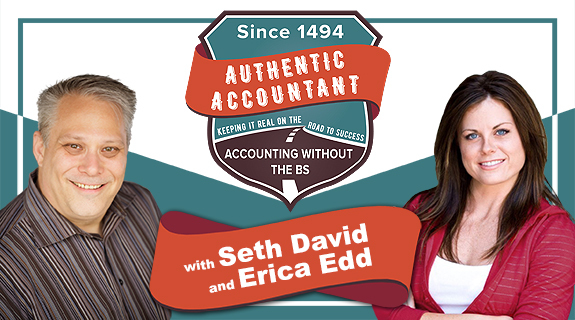 Erica still uses a handwritten notebook to take notes on things she learns about accounting. Barbara’s mom had a good job (especially for then) before marrying her father. Once she was married she left that job. Since her father had to move around a lot, if they wanted to marry, her mother had to quit her job. Barbara’s parents went through a bad divorce leaving her and her mom poverty stricken. She put herself through college and got a job right away. Don’t let the “downs” pull you down into the mud. Barbara learned to pull herself up from the bootstraps. She worked with men and women at first, but given her experience and what her mom went through, she found herself drawn to help other women. She went from Biology and working for the DOD to Psychology in graduate school. Then she went to grad school to study psychology. She wondered (especially being a chameleon) where did she fit into the grand scheme of things. She didn’t figure that out until her 30’s when she started her own business. Barbara’s role at DOD got more and more involved in helping to calm people down when (eg) there were environmental issues. This really explains the nurture part of her that drew her to psychology and helping others. They had to work with the public and show that they had their best interests at heart. Most recently there was a big military base called Novato in CA that was transformed in 2006 to a work / live area. Residential work live mixed use facility. Now they have “cool hipster workplaces, wetlands preserve, and all kinds of cool things. So Barbara got more into the “people” part of things. Looking back it seemed more fearful than it felt at the time. Her parents divorced when she was 14. When she hears of others’ struggles it helps her gather strength for her own journey. Who wants to go back to the age of 14? At that age it’s who likes me and who doesn’t. Add to that her parents’ bitter divorce. They were not in a community property state, her mom was left destitute. In those days there wasn’t much available to help her mom re-enter the workforce. Barbara use her “smarts.” and did tutoring to get through college. She tutored English and Math. She is a “nerd artist” with both left and right brain skills. So she adapted leveraging her strengths. She built her own little side business while she attended UCSD. So she made her choices not based on what her heart wanted, but based on what felt safe. Life is a journey so don’t be too hard on yourself because you eventually get where you want to go anyway. Teaching is how we can help change people’s lives for the better. When you think about it, almost every interaction you have with people is an opportunity to either teach something you know, or learn something you didn’t. Barbara did whatever it took to get through. She was resourceful. One thing she learned to do is to connect well. This was important to find the right connections that were sympatico and reciprocal. She looked up her Finnish relatives. She started hanging out with them at age 19 every so often. Barbara learned a term called, “Sisu.” Barbara said, “don’t ask me to spell it” but I googled it and found it. The small Nordic country of Finland has a cultural construct known as sisu, used to describe the enigmatic power that enables individuals to push through significant hardships. Giving back and helping others always seems to be the answer in the end. I am here to help people not go through what I had to go through. This can serve the end of making the world a better place by lessening struggles in the world. The gift of HAVING an experience is being able to SHARE that experience so you can help others. Then you feel like you are part of something much bigger than yourself. She wasn’t even supposed to live, and here she is looking at this list. We all better be a little nicer to ourselves! Any mentors? People you look up to? Books you’ve read? She wishes she would have found someone to call a mentor. She would always find nice and reciprocal people, but not really the level of someone who’s gone on before you like a mentor. Now Barbara mentors people because she wishes she’d had one. Nobody is truly “self made.” Everyone has had some help. Barbara was always an avid reader. No one book really stands out. She really loves Oprah Winfrey. Oprah certainly qualifies as a great mentor. You may not be able to get her to work with you personally, but she has plenty of books and other resources out there that you can rely on for help. The Muse Process: Unleashing the Power of the Feminine for Success and Fulfillment. Check back at https://www.drcoxconsulting.com/ to see if it’s available by the time you’re listening! Barbara has really worked on this book her whole life without really knowing it. Women have an unconscious belief system activating. When certain things happen in your life – getting married, getting pregnant.. There is a part of their individuality that would get shut down or turned off. This is not conscious. But you find yourself putting everything by the wayside, except for the kids and the partner. Then you realize, “what am I missing?’ and you find yourself scrambling for self identity. This is changing in society – the closet is being cleaned out. This comes from our evolutionary background. Back to caveman / woman days. As culture develops we need new skills. Survival mode is about gathering nuts and berries and keeping your offspring alive. You are not conscious of this. You just do what you need to do. Nowadays we need to upgrade our “act” to match our modern times. There are differences between woman and men and how they act in the workplace. Each has their own important role. When you bring in the more feminine characteristics both genders benefit. When you combine the best qualities in both men and women (Yin / Yang) you get the best results. We each have Yin and Yang within us. Bringing these together is the most useful and adaptive. Yang – more go getter, action, move forward, get things done in a linear fashion. We need the best qualities from both sides and when you integrate them you get the best results. The book focuses primarily on woman who are integrating (eg) work live balance – career vs family. But the process works for men and women. This is an integration of qualities from both sides looking at how can I access both sides to create a more balanced workplace. And this will give us a better bottom line. This is a timely conversation. We do have shift in our workplace. Women are gaining entry into higher levels of management. We’re getting there, but there is still that argument – “how can you be a CEO and a “good” mother. Somehow the narrative is that you have to be one or the other. This is wrong. This is what is still sitting in our collective social closet and it is tantamount to a caveman (or cavewoman) mentality. As a woman you can work on this individually. Look within yourself and start believing it yourself – that yes you can do both. Research shows that working mom’s kids tend to do better on several measures in terms of confidence. It’s not that all women need to become CEO’s. It’s more a matter of doing whatever it is that YOU want to do. The premise is don’t run your live based on a collective societal belief about what your role is. Tune into what YOU like and what YOUR strengths are, what your skills and interests are to make the world a better place. Let’s stop stepping on each others dreams based on an external group of people saying that’s what you should do. The books on the subject didn’t really help. Does the man have to meet the woman half way? If a woman wants to be a CEO doesn’t the man have to help more at home, so the responsibilities are shared? Looking back, Barbara might have hired a Nanny to get help. Sometimes plan a, or plan b doesn’t work, so you need to come up with plan c, or all the way to plan z. The trick is finding the solution that works. So there is no one size fits all solution. Authenticity is more important than ever now. It means being honest about who you are, where you are now, and where you want to be. The only way you are going to get to where you want to go is by exposing your weaknesses so you can get help and then leveraging your strengths to do what you do really well. The Muse Process: Unleashing the Power of the Feminine for Success and Fulfillment.Check back at https://www.drcoxconsulting.com/ to see if it’s available by the time you’re listening!